Last nights sunset was a ripper but I wasnt able to shoot it, so I made sure I wouldn’t miss this morning. Woke up and you could see the sky full of high cloud… as soon as you see that you know your on for sure. 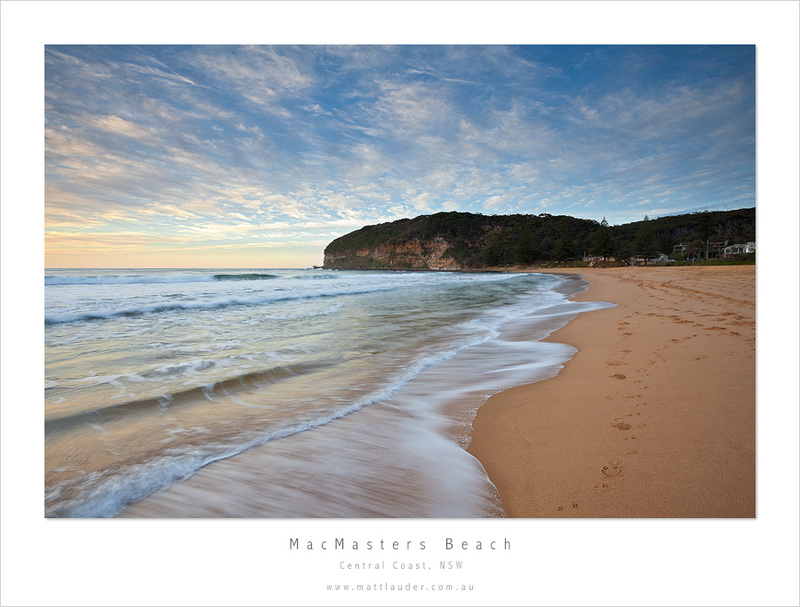 Met up with a good friend and we headed down to MacMasters Beach. Gorgeous blood red sunrise that moved into great gold tones with blue sky. When the sky went red I went nuts running around shooting with digital, my GX617, Fotoman 624 and also the Hasselblad 6×6. Four cameras and only two tripods, with the light changing so quickly can get stress full changing camera mounting plates. Why so many film cameras… well they all give you different views. The Fuji G617 stayed home and had a sleep in. 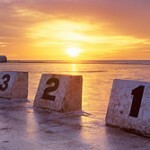 This entry was posted in Uncategorized and tagged central coast, Copacabana Beach, fotman 6x24, fuji gx617, macmasters beach, matt lauder, Photography, sunrise. Bookmark the permalink. Did you like this post? Why not share it, it really helps us keep great content coming. Great shot! Nothing like a sunrise or a sunset. Very nice. Did you do the HDR gig, or is it straight out natural light? And if you don’t mind too much, what lens did ya shoot it with? Hi David, this is a single image, with very little photoshop, so little you wouldn’t even bother making a tutorial out of it. Shot with the 17-40mm f4 lens. Nice. I’m not a huge fan of any photoshop work (part out of interest in artistic integrity and part out of simple laziness..I’m awful slow at photoshop, haha), so I’m always awed at a really really good shot that is simply what the camera saw at that moment. Nice lens, too…even for a Canon ;). love the dynamic range! pretty good from one shot….to edit a photo to its fullest you have to get you histogram spot on right?